Are you a massage therapist with years of experience who is looking to start working for yourself? 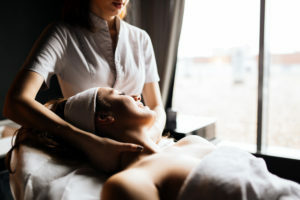 Or are you a newly certified as a massage therapist, as required by most states, and you want to open your own business? Either way, you’ll need to set up your space to be inviting, practical and safe for your clients. Starting your own business is a big step and it’s important to start out the right way so your business has the best chance of success. Along with the right massage therapy insurance, your equipment will be your most important asset. It may be hard to believe, but 39% of massage therapists were self-employed in 2016. If you want to be one of them, you’ll need to set up your business properly. Decide what type of massage services you want to offer and what sort of service you’ll provide. Will you work from your home, an office, a gym or a nursing home? Will you become a mobile massage therapist? Depending on your answer, you must consider the massage therapy equipment you’ll need to make this happen. The cost of setting up your own business can be daunting. There will be many one-time purchases you’ll need to make that will require substantial capital, such as the ones we listed above. You can prioritize, only buying the basics to begin with. If your funds are limited, this is the best way to go because you don’t want to focus on quantity at the expense of quality. The most important piece of equipment you’ll buy will be your massage table. It’s not worth skimping on this as it can really impact the quality of the service you offer. Consider whether you need a folding table if you’ll be offering a mobile massage service. Finding a table that adjusts to fit different body sizes and shapes, and that can be raised or lowered, will help keep your clients comfortable, while allowing you to work in the optimal position. A strong and sturdy table may cost more, but it will also last longer and be safer for both you and your clients. A variety of oils or creams is also important. Different forms of massage require different types of creams and if you plan to offer a comprehensive service, you’ll need to be prepared. Spend a bit more on buying quality lotions and oils as these are safer for your clients. Many clients are fussy about the products used on their skin so make sure they are recommended brands, and consider offering some hypoallergenic choices. Clients see a massage business as a safe and relaxing place to be. You need to make sure that you live up to these standards. You cannot compromise on safety to save money when buying massage therapy equipment. Being physical work also means that you need to look after yourself while you provide your service. Your massage table must be strong enough to bear the weight of your clients. It must be adjustable so you can work at a comfortable height and if it’s a mobile table, it must be easy to transport. Your oils and lotions must be safe to use and your work area must be clean and sterile. Clients look for therapists who are serious about their welfare. Making sure you spend extra to adhere to these standards will probably attract even more clients. When it comes to equipment, there are many options of where to buy what you need. Find a supplier you can trust with a range of options that you can choose from. Find the right specifications for your needs, depending on your space and the service you plan to provide. If you can wait, keep an eye out for sales or try to buy at a discount from a business that is closing its doors. Search online for overstock, repossessed business equipment or second-hand sales. This will allow you to save money without compromising on quality. When it comes to oils, lubricants and creams, find a supplier where you’ll get a discount if you buy regularly in bulk. If you have limited capital to begin your business, you can consider leasing equipment. While this is not a good long-term solution, it can help you get yourself up and running. With the right massage therapy equipment, your business will start out on the right foot.